Sometime late last year, some young Nigerians, led by Segun Awosanya, burst out from their closets and launched the EndSARS campaign via the social media. For ordering immediate reorganisation of the Special Anti-Robbery Squad (SARS), Prof. Yemi Osinbajo appears to have scored high marks. Daily Sun learnt that, at inception, the outfit was designed to be a branch of the Nigeria Police under the Force Criminal Investigation and Intelligence Department (FCIID). But as the days wore on, the agency started plummeting. Many believed something needed to be done to remount it as a true crime-bursting unit. There were other persons that believed that getting rid of SARS would give robbers a free rein. Even at some point, the police themselves perceived calls for SARS re-jigging as next to felony. Then sometime late last year, some young Nigerians, led by Segun Awosanya, burst out from their closets and launched the EndSARS campaign via the social media. Using the hashtag #ENDSARS, they were insistent that the police squad should be disbanded, citing its myriad of sins. In days, over 10,195 people had signed up demanding the scrapping of SARS. The group was joined by some other Nigerians and agencies, including Amnesty International, which accused SARS of illegally detaining young Nigerians and extorting money from them. Increasingly, the social media became awash with scary details of encounters of members of the public with SARS. In one fell swoop, over 400,000 people tweeted their experiences – chilly accounts of suffering – and abuses of various hues. There were terrifying testimonies of people arrested and taken to some obscure locations, where the policemen demanded money; how the SARS personnel marched people to ATMs and ordered them to transfer money to bank accounts of individual SARS operatives. The policemen even carried POS devices with which they forcefully extorted money. From that point, the #ENDSARS campaigners forwarded a petition to the National Assembly, hinging their argument on extortion, disappearance and death of countless citizens at the hands of SARS operatives, illegal arrests and detention of citizens and outright abuse of citizens. The campaigners followed up their petition with street protests, mostly in Abuja. They threatened to sustain their action until the Federal Government listened to them. In the heat of the controversies, the Nigeria Police Force spokesman, Mr. Jimoh Moshood, voiced strong words against the #EndSARS campaigners, calling them criminals. He contended that robbers would have a field day if the agitators had their way. Similarly, the Inspector-General of Police, Ibrahim Idris, stated that the agitators were “criminally-minded,” while applauding his men for their good job. “You see, you have to be careful about this clamouring. You know social media is a technology, technology available to those that are criminally-minded, and we have to be careful the way we respond to some of these ‘clamouring,’ like you are saying. When Osinbajo’s words dropped like a bombshell, ordering the reorganisation of SARS, not many had expected the move. Hours later, Idris announced an overhauling plan, part of which was the appointment of a new Commissioner of Police as the overall head of the Federal Special Anti-Robbery Squad (FSARS) nationwide. “The Federal Special Anti-Robbery Squad previously under the Force Criminal Intelligence and Investigations Department (FCIID) is henceforth to operate under the Department of Operations, Force Headquarters Abuja. The Commissioner of Police (FSARS) is answerable to the Inspector-General of Police through the Deputy Inspector-General of Police, Department of Operations. for all FSARS personnel would be enforced to ensure that the operations of the FSARS are in strict adherence to the rule of law and with due regard to international human rights law. He pledged that the constitutionally guaranteed rights of suspects will be enforced in totality by the Commissioner of Police, FSARS. He further assured Nigerians that the police force would be transparent, cooperate, and work cordially with the National Human Rights Commission to address grievances from the public against the personnel of FSARS in compliance with the presidential directives. He also promised that a new training programme on core police duties, observation of human rights and handling, care and custody of suspects had been directed by the IGP. The programme, he said, would be organised by the force in collaboration with some civil society organisations (CSOs), local and international NGOs, and other human rights organisations. So far, the actions of Osinbajo and Idris have been eliciting reactions from members of the public. “The move was long-overdue yet a hugely important move by Acting President Osinbajo,” Amnesty International’s Osai Ojigho was reported as saying. 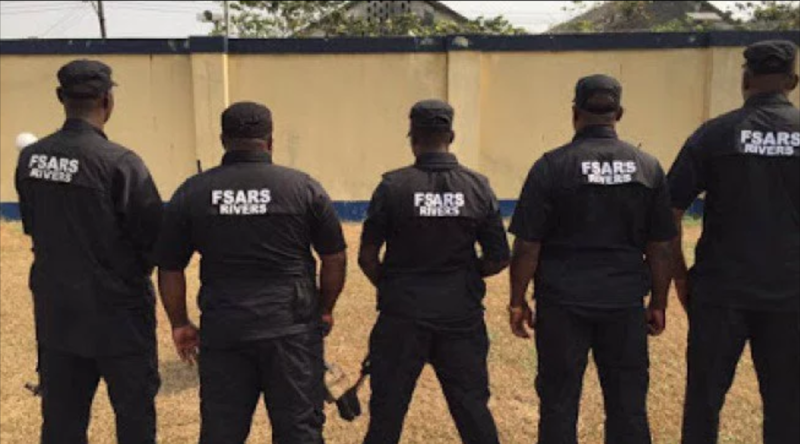 “The growing outcry over the brutality of Nigeria’s notorious SARS police unit has finally got the attention of the country’s authorities. “The reform ordered by the Acting President must translate into ending the serious human rights violations, such as torture and extra-judicial executions that SARS officers have been committing for years across Nigeria. That includes bringing to justice SARS officers found to have committed such atrocities,” he said. In like manner, Chief Goody Uwazuruike, a lawyer and former president of Aka Ikenga, said the directive to reorganise SARS and the measures announced by the IGP did not go far, maintaining that the outfit ought to have been scrapped totally. “Once a young man is seen wearing a funky hairdo, he is a suspect; if he is carrying a laptop, he is a ‘yahoo-yahoo’ boy. If he is carrying a fairly-expensive phone, he is a criminal; if he has some money in his pocket, he stole it. So, we have a siege mentality – a situation where those who are supposed to protect the people are turning against the people. “Now, if you repair an old vehicle, does that make it new? No matter how much coat of paint you put on an old house, does that make it new? For Mr. Abiodu Aremu of the Joint Action Committee (JAC), reorganising or scrapping SARS as demanded by the citizens does not address the question. “None of the two addresses the law and how the police operate in this country. “The true picture is that the Nigeria Police are aggressive to the citizenry. They are brutal, they are intimidating and manhandling the citizens; they are transferring aggression to the citizens and this is very bad. “How can they arrest a youth and ask him to produce an identity card when he has no job? Is that not bad enough? Yet, unfortunately, so many policemen are operating as robbers. This is a sad commentary. I think this is part of what led to the formation of the #ENDSARS campaign.